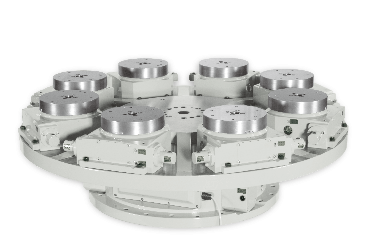 CT series of Non-Lifting Indexing Tables are used in Transfer machines, dial machines or in any machines requiring repetitive positioning with the accuracy and extreme rigidity only achievable with a Hirth coupling and hydraulic clamping. A CNC transfer machine of today is likely to be a flexible CNC machine. It is especially suitable where different types of work pieces must be produced in quantities. The machine is especially useful for industries such as automotive, watches, livelihood necessities, and climate control systems. 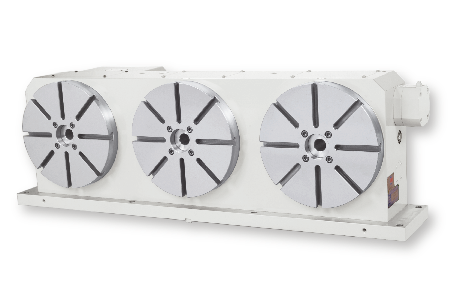 CT series indexing tables are widely used in transfer machines either as horizontal or vertical axis. Fast rotation time and high indexing accuracy ensures outstanding productivity be produced in medium to high quantities. Change livelihood to everyday necessities. Note: The raising and lowering of the gear rings is similar to a lapping effect.The accuracy of the gear teeth improves over time.